As a major manufacturer and supplier of diamond and CBN wheels, Hongtuo owns a large production line for producing resin bond grinding wheels at an annual production of 40,000 units each year. Our resin bond diamond and CBN wheels are available flat, cup shaped, bowl shaped, and a cylindrical shape. These bonded abrasive products can be used to sharpen cutters on various materials, slotting axis parts, cutting quartz and glass, grinding end faces, and the internal bore of metals. 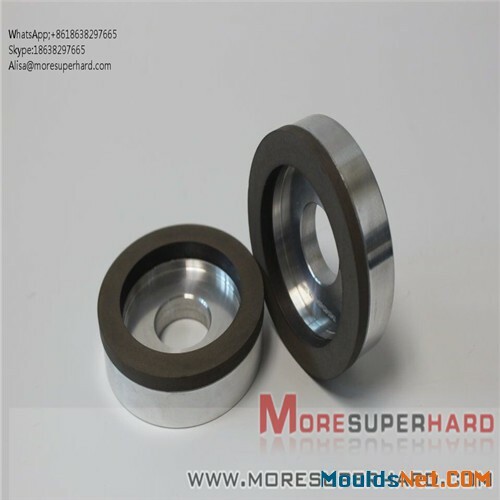 These resin bond grinding wheels are suited for use in German Swiss, and Chinese grinding machines, and have garnered high praise among their users. When purchasing a Hongtuo grinding product, please inform us of the related information about your grinding machine and work pieces that will be machined, so that we may recommend the best abrasive tool for the project. 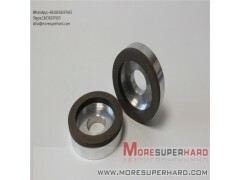 The resin bond diamond wheels are mainly used for grinding tungsten carbide and non-metal materals. Various kinds of dimensions and shapes are available, such as flat shapes, cup shapes and dish shapes, etc. 2. It ensures a great surface finish accuracy. 3. The work piece will not be burned. 4. The wheels can work on a number of odd shapes. 8.Welcome to send drawing and specification to us if you need,we will quote you as soon as possible according to the drawing offered by you. 1. Resin bond usually has some added filler such as organic and inorganic materials, metals, etc. into the phenolic resin in order to control its wear resistance, heat resistance, grit retention and lubrication. 2. Resin wheels are low in Young’s modulus, therefore they have excellent characteristics in: processing efficiency, free cutting, surface finish, and minimal chipping. 3. Resin bond wheels have shorter wheel life because the adhesion between the grit and the bond is not as strong as that of metal bond wheels. However, resin bond has much better cutting ability when processing hard-to-grind materials such as cermets, cermets, ceramics, etc. 4. The diamond and CBN abrasives used for resin bond wheels are different from those used for metal bond. They are irregular-shaped and easy to microfracture. By doing so, they also create new cutting edges constantly while grinding. In order to improve grit retention, the diamond is metal-coated and the surface is more uneven shaped. 5. Resin wheels are typically used for wet grinding, but they can be used for dry grinding by adding some filler to reduce heat generated by grinding and improving their cutting ability. Resin bond CBN wheels are suitable for machining high speed steel,cast iron and so on. Regrinding A Blade Edge Profiling And Sharpening Of Much Worn Inserts. Standard Grain Size-Can Also Getting A High Sharpening Efficiency, Good Quality Machined Surfaces . 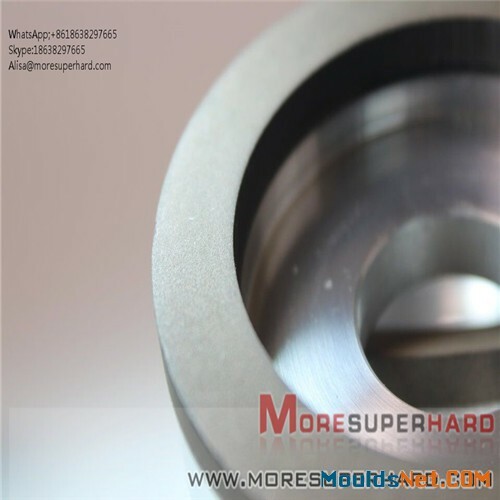 Finishing Grinding – Getting A Very Good Quality Of Machined Surfaces. 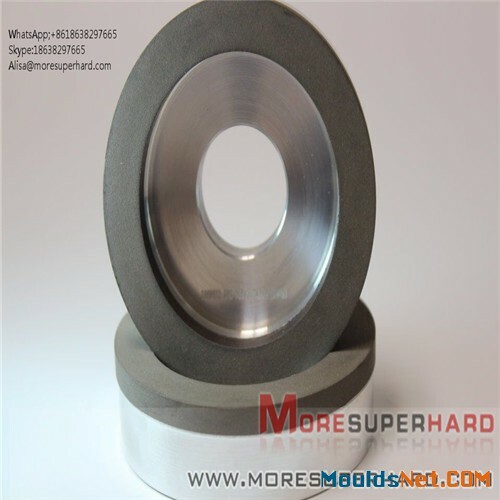 Super Finish Grinding – Getting A Brilliant Quality Of Machined Surfaces. 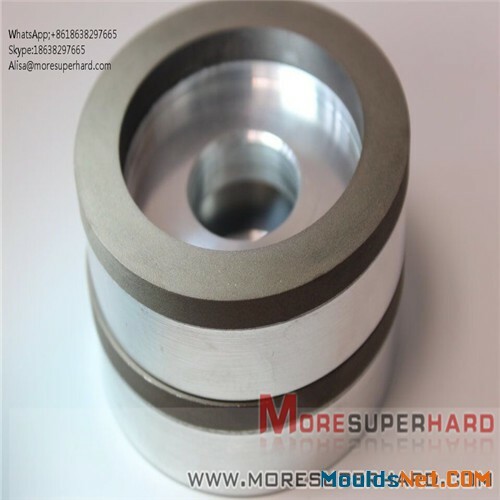 * Others Grit Can Be Made According To Customer’s Requirements. Q2. How can know my order’s production progress? Q3. How can you ensure the quality of your products?